The Guide Series 767 Angled Tackle Systems combines quick access with increased tackle security. This compact case have been designed to securely house the 3600 series StowAway utility boxes using Plano"s innovative angled platform. 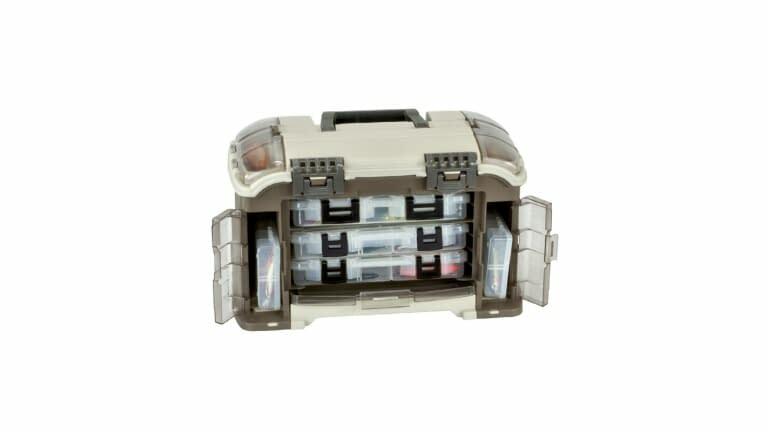 It offers plenty of additional storage for other essential accessories and can be easily customized for whatever you"re fishing for.